Amnesia and Motorola are excited to present an event that won’t be forgotten in Santiago del Chile. 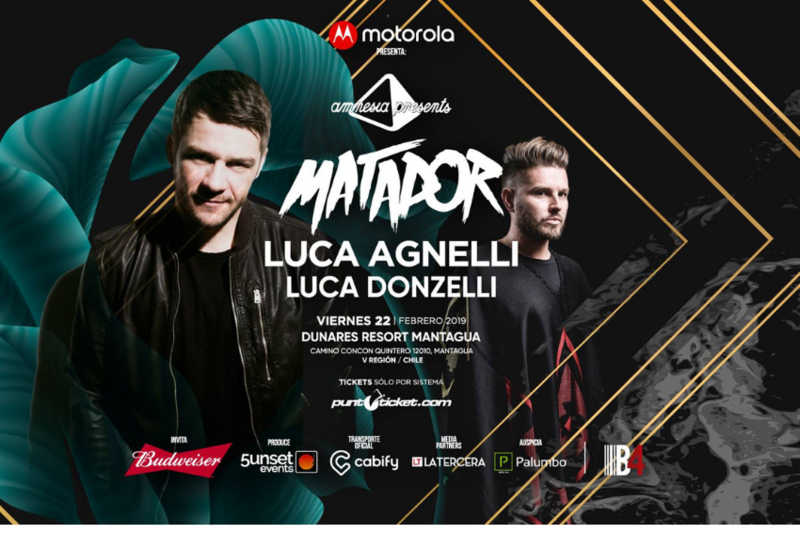 February 22nd, at the Dunares Resort Mantagua, MATADOR (Live), LUCA AGNELLI, LUCA DONZELLI and other national DJs, will make everyone dance until they can't no more! Awarded as Best Live Performance at the 2016 DJ Awards, Matador is a revolutionary artist with a brilliant reputation.